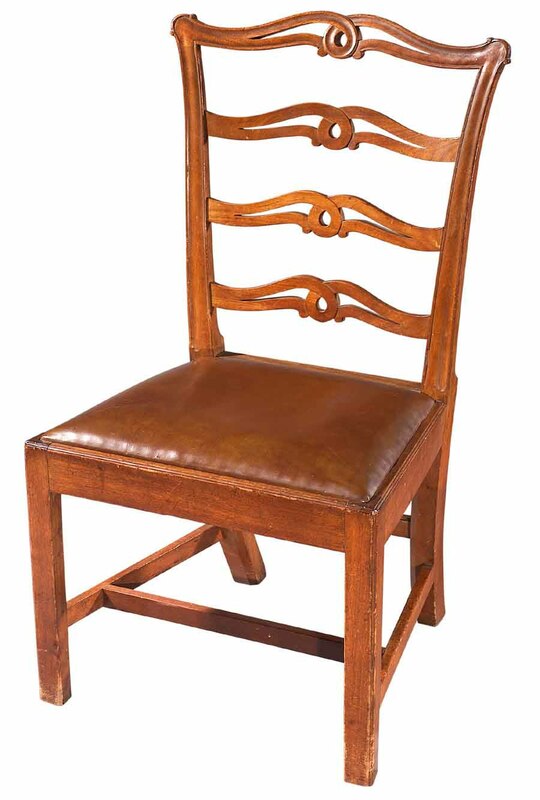 To a Chippendale American side chair know as a "Pretzel-Back" or "Ladder-Back" chair. A similar labeled example is in the Philadelphia Museum of Art. Both by Daniel Trotter, born 1748, working from 1769 and died in 1800. The chair retains the original hard pine removable slip seat, which is presently covered in leather. This chair is in good condition, having two new interior corner glue blocks, while retaining two originals. The seat rails and front legs are moulded with a bead and the back members are hand carved.